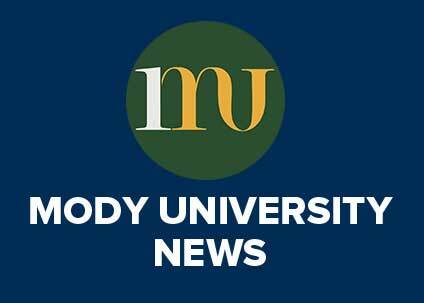 Mody University of Science and Technology (MUST) is pleased to announce the appointment of an internationally renowned researcher and a highly-­‐successful US academic leader, Dr. Vishwanath Prasad, as its next President. Dr. Vishwanath Prasad, who is commonly known as “Vish Prasad” in USA and abroad has served several major US research universities as a faculty member, researcher, and administrator. As an academic leader, Dr. Prasad has been extensively engaged in all aspects of university administration, including strategic planning, student enrollment and success, faculty hiring and development, research administration, campus planning, budgeting, community engagement, and fundraising. He is an entrepreneur who places special emphasis on creativity, innovation, independence, quality, and ethics. 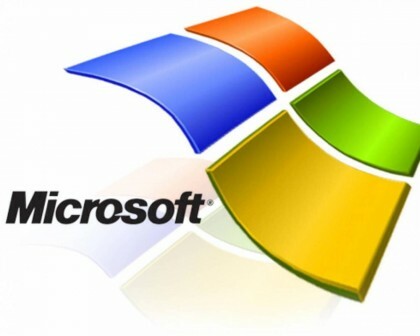 And, he is a builder who knows how to recognize as well as create opportunities, develop strategic priorities, and bring people and resources together to accomplish desired goals. In all of Dr. Prasad’s leadership positions he has had great success in converting aspirations and ideas into reality through strategic planning, successful implementation, and effective management of people and resources. Dr. Prasad is coming to Mody University from University of North Texas (UNT) where he served as the Vice President for Research and Economic Development for five years (2007-­‐2012). In this capacity, he was responsible for promoting UNT’s mission in research, scholarship, and artistic creativity; managing IPs and technology transfer; building a research park; and fostering partnerships with government agencies, non-­‐profit organizations, and industry. 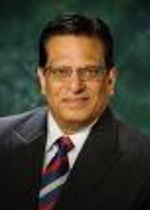 While on leave from his position of Professor of Mechanical and Energy Engineering and Materials Science and Engineering at UNT, Dr. Prasad was hired as the Interim Dean of Engineering at Wichita State University in 2013 to resolve some of the major issues facing their College of Engineering. Dr. Prasad had started his academic career as an Assistant Professor of Mechanical Engineering at one of the world’s leading universities, Columbia University in the City of New York, in 1984, where he was promoted to the position of associate professor in 1987. In January 1993, he moved to Stony Brook University – State University of New York and served there as Professor, Leading Professor, and Associate Dean of Engineering for research and graduate studies. In August 2001, Dr. Prasad joined Florida International University (FIU), Miami as the Dean of Engineering, and in 2005 he was elevated to the position of Executive Dean of Engineering and Computing. At FIU, Dr. Prasad held the faculty position of Distinguished Professor. Dr. Prasad is also recognized for his efforts in promoting diversity and inclusion at US universities and has received many awards, including the 2007 “Educator of the Year Award” for contributions to engineering education to Hispanics from HENAAC (name changed recently to “Great Minds in STEM”). Dr. Prasad takes pride in being an Indian-­‐American, who has always remained connected to his homeland. He has advised and mentored many doctoral students and post-­‐doctoral fellows from India and many of his advisees and colleagues are serving as faculty and administrators at prestigious Indian universities. Dr. Prasad is a Co-­‐Founder and architect of the Center for India Studies and Department of Asian and Asian-­‐American Studies at Stony Brook University. In 2004, Hindu University of America (Orlando) had invited him to be the graduation speaker of its first commencement ceremony. Dr. Prasad’s research focuses on thermo-­‐fluid sciences, energy, advanced materials, microelectronics, and computational sciences. He has published over two hundred invited and/or refereed articles, made over 220 conference presentations, organized numerous conferences and workshops, and presented invited lectures and seminars at academic institutions and industries world-­‐wide. He has edited/co-­‐ edited several books and symposium volumes, and organized numerous conferences, symposia, and workshops. Dr. Prasad is an elected Fellow of the American Society of Mechanical Engineers and has served as an editor of several journals/volumes, a member of the USRA Microgravity Research Council for a major NASA Program, and Chair of several ASME Heat Transfer Division Committees. As a Principal investigator (PI) or Co-­‐PI, he has been awarded over $25 million in research grants and contracts from federal agencies and industry. These include US National Science Foundation (NSF) materials (MRSEC) center, US Department of Defense consortia, NSF Partnership for Innovation (industry-­‐university-­‐ community) programs, and Small Business Innovation Research projects. Dr. Prasad believes in the grand vision of Shri Rajendra Prasad Mody, Founder of the Mody education and research organizations, on high-­‐quality women education in a world-­‐class facility and a sustainable-­‐ spiritual environment. As President, Dr. Prasad’s goals will be to expand educational and research opportunities at MUST, integrate educational pedagogy with human values, creativity, innovation, and professional leadership, and build strong and unique international partnerships, with the ultimate goal of providing the best women education in India. 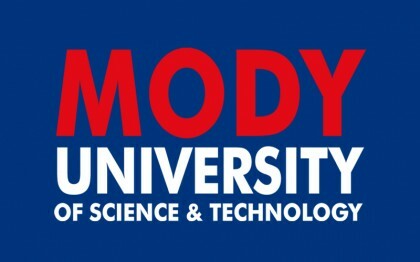 Dr. Prasad considers Mody School as a jewel in the crown of Mody educational system. He would like every school student to be provided the best education and character building opportunities and all of them to be inspired to pursue higher education and build wonderful careers. As young leaders they can be future of our country and shape the society for benefits to all. Dr. Prasad and his wife, Charu are expected to arrive on campus in the evening of Sunday, March 30. He plans to meet all of the students, faculty, staff, and administrators of MUST and Mody School within a few weeks of his arrival.